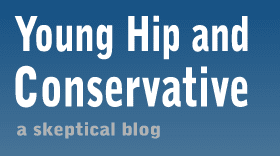 Young, Hip and Conservative: a skeptical blog: It's not a free speech issue. We get it. During my workday today I heard three conservative talk radio show hosts defend Phil Robertson, the 60-plus conservative Christian who was fired from the show Duck Dynasty by A&E after he explained his opposition to the gay lifestyle in a magazine interview. In all three cases, the radio hosts started off their defense of Robertson by saying this was not a free speech issue. That concept applies to the government punishing or restricting speech, and this was a case of a private company deciding it didn't want to be associated with Robertson and ending their agreement. After all, speech has consequences and A&E has that right. The hosts then proceeded to criticize A&E for the action they took. You know, because criticism is a form of free speech. The hosts in question were Rush Limbaugh, Sean Hannity and Pat and Stu, co-hosts of Glenn Beck. Beck himself had retired early for the day. So imagine my surprise when I got home and every left winger online had written about how Robertson's defenders, and therefor all conservatives, are all claiming A&E violated his freedom of speech. Truth be told, there were some real examples of folks who said that, including Sarah Palin and apparently, Glenn Beck. There were also some nobody-guests on Fox News at some point during the day and nobodies on Twitter and Facebook pages. This post isn't about defending Robertson's anti-gay attitudes - a position I reject. It's not about the idea that people who say things we don't like need to go into exile immediately. It's about the categorical thinking involved today. I'm glad to see people are standing up for the idea that private consequences are not a violation of free speech. They are absolutely correct when they say that and I wish more people understood it. However, they paint with too wide a brush. There's no evidence to suggest that a majority of conservatives made that too-common error. Some people certainly did, but please don't tell me that an entire group did it. Even Rush Limbaugh dismissed the idea; that's not trivial.